The Tomboy is 1.6 MB. Larger files take longer to load. This is the Tomboy listing page, here you can download the plan, article and see the main thumbnail and extra images. "Tomboy" is a cabin fuselage sport free flight model designed by noted British model designer and flier Vic Smeed. 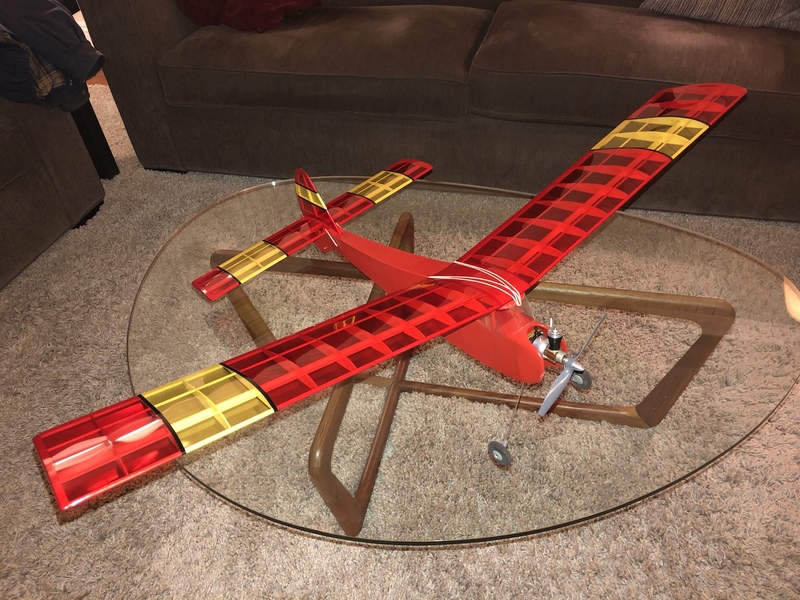 The plane is designed for beginners and is thus quite easy to build and fly. Recommended power plants are .5 to 1.5 cc diesels and options shown include enlarging the stock 36" wingspan to 44" and adding floats for rise-off-water fun. The Tomboy would be easily converted to radio controlled rudder and elevator as well as electric propulsion. 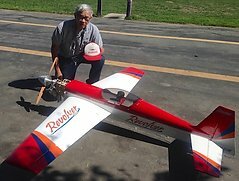 The model shown in the color photo (sport free flight with a Cox reed valve 049) is a recent build (January 2019) by Norm Furutani, long-time free flight flier and for many years, Contest Director of a week-long series of FF events held at Los Hills, CA. These are the details for the "Tomboy" plan. If you would like to become a plan editor and help us to edit the attributes of all the plans in the website please click the "Edit Attributes" button below. Order your Tomboy prints today! The Tomboy plan can be printed on plain paper, tracing paper or polyester film and shipped worldwide. This tool allows you to calculate the cost of printing and shipping the Tomboy plans and its building article if available. If you need to resize a plan please contact us with the ID:91569 and the desired wingspan. I will calculate a price upon request, please contact me here mentioning this PlanID: 91569 and the job you wish me to do. 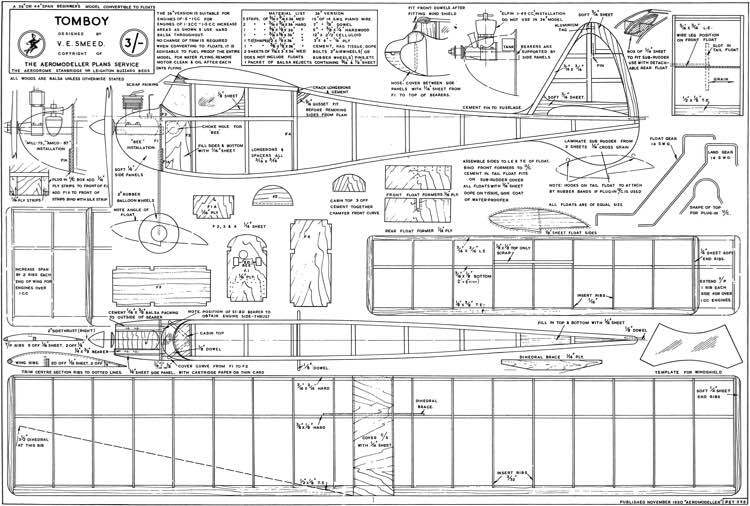 This plan is 1.6 MB and was shared by our member aeroastro on 24/05/2015 10:15 in the PDF Bitmap Wood Model Airplane Plans (2) category. It has been downloaded 278 times.